When all the people in the world spoke one language, life was convenient but boring. So the townsfolk of Shinar decide to build a tower. As they reach the heavens, they proudly congratulate themselves on their achievement. Suddenly thunder and lightning strike, making the townsfolk unable to understand each other. 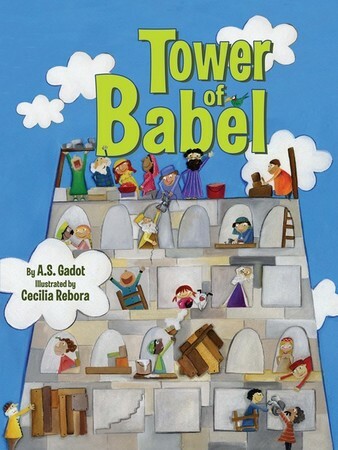 A whimsical, irreverent retelling of the Bible story of the Tower of Babel.